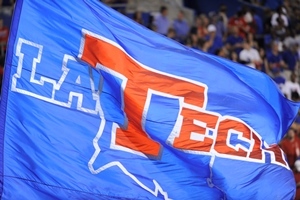 For the second consecutive year, Louisiana Tech University has seen a substantial increase in both the quantity and quality of its 2014 freshman class. According to the university’s fall 2014 enrollment report released Wednesday, the number of first-time freshmen enrolled at Louisiana Tech grew by 19.4 percent with a total of 1,853 new students registered for the fall quarter – an increase in headcount of 301 over last year. Louisiana Tech’s first-time freshman enrollment has grown by 546 students over the past two years, which represents a nearly 42 percent increase since fall of 2012. In addition to recruiting and enrolling more first-time freshmen, the quality of Louisiana Tech’s freshman class has grown as evidenced by an average freshman ACT score of 24.7 for the incoming class – the highest ever at Louisiana Tech and an increase over last year of two tenths of a point. Louisiana Tech continues to have one of the highest freshman ACT score averages in the state and far exceeds the national average of 21. Total enrollment for Louisiana Tech stands at 11,271 students, which is an increase of 257 or 2.3 percent over last year. Undergraduate enrollment increased by 330 students, or 3.6 percent, to 9,545 while graduate enrollment declined slightly by 73 or four percent from last year. The drop is largely the result of a continued decline in part-time, masters-level, lifelong learning students whose enrollment had been supported by external grants. Louisiana Tech’s College of Engineering and Science saw the fall’s largest headcount increase of 263 students (amongst those who have declared a major) followed by the College of Liberal Arts, College of Business, College of Applied and Natural Sciences, and College of Education. The increase in enrollment was accompanied by an increase in the retention of students to Louisiana Tech, from the 2013 freshman cohort. 79.8 percent of first-time, full-time freshmen from fall 2013 returned to Louisiana Tech this year, which is an increase of 1.2 percent over last year.